Alongside the Hot Wheels expansion, a new Forza Horizon 3 patch just went live bringing a slew of performance improvements for the PC version of the game. That was basically the only thorn in the side of what is otherwise an outstanding racing game. The minimum requirements of the game have also been lowered with this Forza Horizon 3 patch. 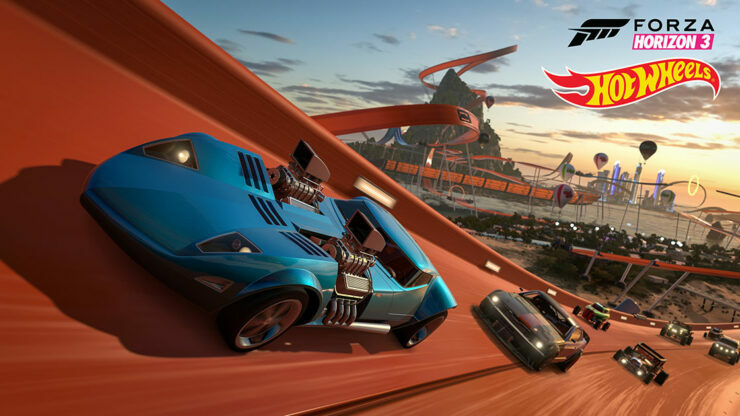 Check the full details below and let us know in the comments your first impressions on the Hot Wheels expansion and the Forza Horizon 3 patch. Alongside the release of the Forza Horizon 3 Hot Wheels expansion, we are pleased to announce numerous critical improvements included in the Windows 10 PC version of the game. These improvements are included in today’s automatic update and do not require the Hot Wheels expansion to take advantage of. We have observed that a large portion of players are CPU limited when trying to run Forza Horizon 3 at high frame rates, including locked 60 FPS and unlocked. By analyzing telemetry, we have developed targeted optimizations for this group of affected players by increasing the number of concurrent threads used by the render architecture. We have taken further advantage of DX12 capabilities to allow the visuals to be processed out of order during the frame, in order to reduce synchronization stalls and decrease CPU execution duration. These changes result in a significant CPU performance gain on High or Ultra settings when running on PCs of Recommended spec or better. We have updated our threading affinity model to make better use of all available cores. Along with this change, we have added a new graphics option to disable the new model, should you prefer. This option can be found in the Video Settings menu under “Threaded Optimization”. These are combined with some existing options to create a new “Very Low” preset that can be used with dynamic optimization. Additionally, all options have had their descriptions updated to include information on how each setting affects the CPU performance, GPU performance, and available VRAM, so that players can better understand the performance impact that tweaking each setting will have. Along with the performance improvements coming with this release, we are lowering the minimum specification to reduce the CPU requirement and the NVIDIA GPU requirement.